Discovery Channel reinvents the wheel. The cable outlet has ordered The Wheel TV series — a global, extreme survivalist competition. On The Wheel, contestants will face eight grueling landscapes across the world, each requiring different survival skills. The Wheel‘s executive producers for Pilgrim Media Group are Craig Piligian and Sam Korkis. For Discovery Channel, Joseph Boyle and Kyle Wheeler are executive producing. Coordinating producer is Brian Peterson. (LOS ANGELES) – Discovery is taking the survivalist genre to the next level with THE WHEEL, the network’s newest series from Pilgrim Media Group. While most survival shows feature just one or two extreme environments, THE WHEEL demands that participants conquer eight distinctly grueling landscapes across the world, each requiring a completely different set of survival skills. With each turn of the Wheel, survivalists must tackle the planet’s most unforgiving terrains – including freezing tundra, parched deserts, rugged mountains and steamy jungles – one immediately after another, with little time to prepare what few tools and materials they have. The participants are completely at the Wheel’s mercy, as its every rotation thrusts them into a new harrowing domain without warning. When and how quickly will the Wheel turn? That’s for the viewers to know… and for the survivalists to agonize and obsess over. When a survivalist breaks down and taps out, the Wheel keeps on turning until only one is left standing. But can anyone survive THE WHEEL? THE WHEEL is produced for Discovery Channel by Pilgrim Media Group. For Pilgrim Media Group, Executive Producers are Craig Piligian and Sam Korkis. For Discovery Channel, Executive Producers are Joseph Boyle and Kyle Wheeler and Coordinating Producer Brian Peterson. To learn more, go to www.discovery.com, on Facebook at Facebook.com/discovery and on Twitter @Discovery. What do you think? Do you like the sound of The Wheel TV show? Do you plan to check it out, when it premieres? 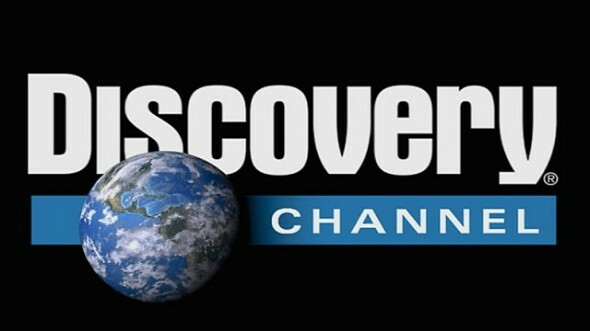 More about: Discovery Channel TV shows: canceled or renewed?, The Wheel, The Wheel: canceled or renewed? How do you apply for the challenge? I liked the show and would watch another series – no doubt! Interesting that the two contestants who had the most faith in GOD were the only two that finished? I fell asleep before the end Did both men finish ? What happened ? Please be a season two of the Wheel . It’s what i thought the series of Survivor was going to be , but was very disappointed. Well we are down to just two contestants. Lindsay you fought the good fight hold your head high! Looking forward to the season finale and hopefully yet another one “in the can” as they say in H-wood. Does the winner get a prize? I wanted to know, also, if there was a prise? Please, let us know!